How do I keep my company spreadsheet organized? Any secrets? Well admittedly, record-keeping is not my forte but I will try to answer the best can. The prime secret to keeping spreadsheets organized has a lot to do with keeping your paperwork organized and keeping up with the entry of data to your spreadsheet. You might find the page on organizing paperwork to be helpful. Procrastination and scattered paperwork complicate any type of record keeping. Keeping records on spreadsheets can be complicated in itself. You might consider purchasing an easy to use bookkeeping system such as QuickBooks. 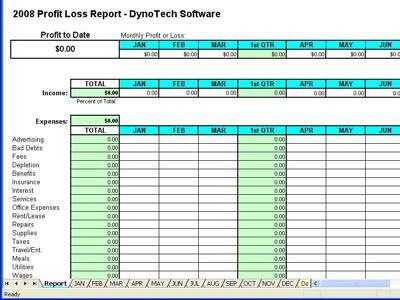 I have also heard good things about Profit Spread Sheet , although I have not personally used the software. Using a system that is designed for a small company will help simplify the task but keeping the paperwork organized and posted regularly will still be of importance.